What are some "normal, common monsters" in the Al-Qadim setting? I.e. what are its equivalent of orcs and goblins? In case we want to convert some older modules. I mean, since goblins and ogres live in the cities and follow the law of the Loregiver, I might want to convert some of those in other modules to be some more monstery monsters. The encounter tables in the MC Appendix are great but they seem to be more for outdoors, like debbis. To that you could add, merchant, thieves, guards, beggars, wizards, djinn, etc. in a city setting. Barbarians These are relatives of the Mercenary Barbarian PC kit. They can easily replace Orcs and other savage humanoids, even of the cave-dwelling type. Bandits Saluks, Matruds and Corsairs all have NPC relatives who can serve as opponents in various environments (Matrud: desert, Corsair: sea/islands, Saluk: urban). Centaurs Desert Centaurs are suitable replacements in outdoors adventures, less so in dungeons. Ghul Ghuls in Zakhara are undead genie-like beings. At least the great ghul are intelligent. Thus, Ghouls with Great Ghul leadership can replace Gnoll, Bugbears and other tougher humanoids. Lycanthropes Cannibalism does not appear to be part of the Loregiver's laws, so Lycanthropes, especially were-hyenas, are suitable replacements for other creatures. Sahuagin These fishmen are reported in Land of Fate to be unrepentantly evil, and thus never part of the Al Hadar. Unfortunately, they don't work well in the desert, but can be used on islands and coastal areas. Yak-men Yak-men are too strong to replace goblinoids, but they keep many slaves. A barbarian tribe could fall under the sway of a Yak-man, providing a good reason for it to become the threat of the day. Yuan-ti Like Sahuagin, Yuan-ti are considered inherently evil in Land of Fate, and thus are suitable as opponents. While they are too strong to replace low-level threats, variants on the same theme such as the Ophidians could be used instead (or as a subservient race). Bandits can be a mix of goblinoids and humans in this "cosmopolitan" Zakhara world. Thanks for both of these posts. My plan is to make a hex crawl of some portion of the world (thinking near the Grey Jungle to start) and put in some good crazy encounters here and there but also some classic modules and dungeons. For the latter, I wanted the substition ideas and I got good advice here. Great forum. I'm pretty new to DM:ing. I played through Barrowmaze and ASE as a player, with two other groups. Now I've started a group of my own and we're close to wrapping up the Lost Mine of Phandelver and then we're looking towards Al-Qadim! Cool! Enjoy your new campaign, then! BTW, in a jungle area, you might consider also the Tabaxi (jaguar people) and/or the Tasloi. These might fit the generic "unenlightened barbarian" scheme, or be more sinister (e.g., Tabaxi are often ruled by evil cat spirits). 2097 wrote: In case we want to convert some older modules. I mean, since goblins and ogres live in the cities and follow the law of the Loregiver, I might want to convert some of those in other modules to be some more monstery monsters. Er.... I just don't get it - what's the point? Just for "local colour" - i.e. same old, but everyone wears a head scarf? Seems like a perfectly good question to me. Adapting material to the needs of each individual campaign setting is pretty much standard conversion work. Oh, and welcome to The Piazza 2097! The point should be fairly clear, if you are familiar with Al Qadim's premise that goblinoids are generally civilized. Most older adventures are based on the assumption that goblinoids are evil folk raiding and pillaging borderland settlements, but this is generally not the case in Al Qadim, where barbarous tribes exist, but are more likely human than orcish or the like. Thus, changing these monsters to something more appropriate to the setting does indeed help in fitting the flavour. agathokles wrote: if you are familiar with Al Qadim's premise that goblinoids are generally civilized. agathokles wrote: where barbarous tribes exist, but are more likely human than orcish or the like. Thus, changing these monsters to something more appropriate to the setting does indeed help in fitting the flavour. There isn't anything "more appropriate" for "simple substitutions". Because it's not just monsters that don't fit, the plot doesn't fit in the first place. The whole point of Al-Qadim includes (among other things) the fact that there's no "evil folk raiding and pillaging borderland settlements" as such, rather than that goblinoids aren't them. There's "evil folk" and "raiding and pillaging" and whatnot, but those elements exist in vastly different contexts, so they cannot connect the same way. Hence the obvious question - if you want a few horsetanks to ride down endless droves of goblins wearing only loincloth and ear paint, then why AQ? And vice versa. It's much like e.g. transplanting a FR module about yet another divine clusterfluffle into Dark Sun - the main question would be not "what interior design of churches will fit for thri-kreens? ", but rather "lolwut?" The same problem is present here, only to lesser degree. TBeholder wrote: There isn't anything "more appropriate" for "simple substitutions". Because it's not just monsters that don't fit, the plot doesn't fit in the first place. The whole point of Al-Qadim includes (among other things) the fact that there's no "evil folk raiding and pillaging borderland settlements" as such, rather than that goblinoids aren't them. I'd say this is an opinion, which needs not be shared by others, especially because it is not based on facts. Al Qadim does have its share of evil folk raiding and pillaging -- a look at adventures that focus on little explored areas, such as the Ogrima island in Golden Voyages (which deals with, surprise, an evil folk raiding and pillaging a native settlement...) suffices to prove the point. And the connection needs not be more complex than in older adventures -- although it might be. Adapting older adventures is perfectly legitimate, especially in a campaign that deals more with pulp-style exploration of jungles (like the one in the OP) rather than with urban adventures. 2097 wrote: My plan is to make a hex crawl of some portion of the world (thinking near the Grey Jungle to start) and put in some good crazy encounters here and there but also some classic modules and dungeons. For the latter, I wanted the substition ideas and I got good advice here. Great forum. Welcome to The Piazza 2097. Glad you like the forum. You might want to pop over to the Introduce yourself here thread and say hello to the community at large. Do they have good hex maps of the local areas of Al-Qadim or are you going to make your own map? So the question came up: why want this? 1. I don’t think there’s “enough” in Al-Qadim’s books to support a sandbox the way I want to run it. Many of the adventures are a little too “scene-based” / “event-based” for what I can use productively. I’m more into “location-based”. That works with the way I understand DM:ing. 2. Part of the cool thing with D&D especially now in the era of the OSR is how you can mix and match stuff. Modules and dungeons that people make. If we go with Al-Qadim, I’d be giving up all that (unless of course I can find some simple substitutions). 3. 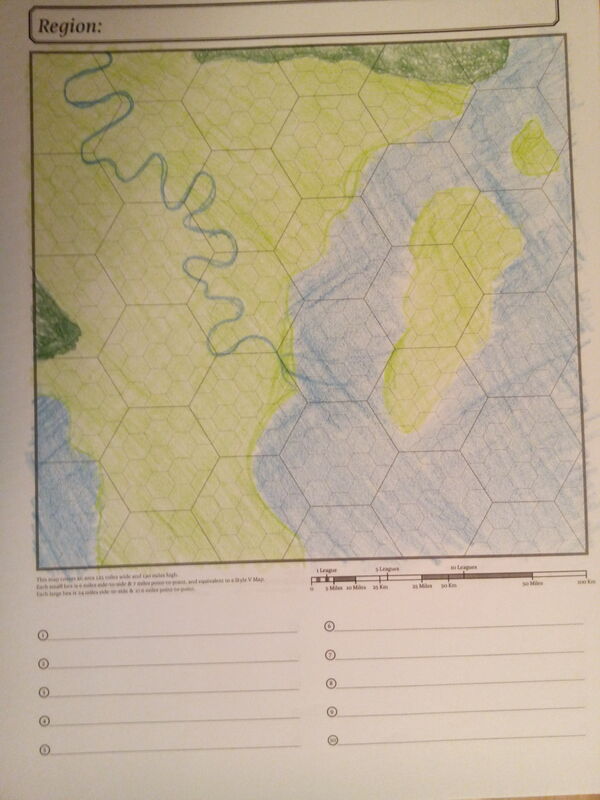 I see three big sources of interesting adventures to populate the hexmap with. • Al-Qadim itself does have some great moments (For example, the three giant sisters in Ruined Kingdoms seems fun. That's something that can be like a brief hex encounter. Or I can put the “fish chase” Pahina encounter from (I think Golden Voyages?) on a city encounter table). • The Land of Nod is a magazine I hadn't heard of until recently but it looks to have some great stuff that might work well in Zakhara. • Home made stuff — it doesn’t have to be anything fancy, just looking through the monster sheets and the various source books for interesting factions and locations. (And I really need to read more from the Arabian Nights, in that case.) I’m into the tags in Red Tide and I think they can port over nicely to Zakhara also. But as a fallback, not the primary thing, it could be cool to have the substitutions so I could fall back on some classic and OSR modules. I was new to D&D a few years ago but in my new group, I’m the one introducing them to all this great old stuff. They haven’t heard of B4 The Lost City for example. To place a few classics as “tent poles” that they could visit as they pleased would be cool. Good question. I’m not married to either the “borderland” style (which has some weird “manifest destiny” / “tribe-bashing” type connotations that I do NOT like) nor to AQ, which is very much catered to the 2e era “scene based” DM:ing style and text-heavy writing style. I have very fond memories of this one comic book I had when I was a kid, adapted from an Arabian Nights story about an enchanted sword. And also: Pages 148, 156, and 188 in the 5e PHB. I am head over heels with that aesthetic for D&D. I’ve been reading through AQ and I am constantly flip-flopping between “This! This is it!” (when I see something cool like a talking, friendly giant wasp) and “No. I can’t make this work” when I see something that I don’t know how to work with (such as many of the adventures, which, again, are “scene-based”), or when I come up with an idea of my own or from another setting. So far, I’ve never had good luck with “settings you need to study lest you make a mistake” and sometimes Al-Qadim looks like one of those settings. Unlike something that is more based on roll tables and hex encounters that you can kind of learn as you go. Why endless droves of “goblins”? It is such an easy way to make a sandbox level-appropriate without gating, to have the jungle or desert be more and more difficult the further you venture there. And, again, I want to be able to convert existing adventure locations and stocking tables. “Dungeon delving” isn’t a big part of Al-Qadim but it’s something I love running and a big part of what makes D&D fun. The tried and true gameplay of D&D but with head scarfs. This is my dilemma. I love the flavor of Al-Qadim, the Loregiver, Fate, island hopping, jungle trekking. 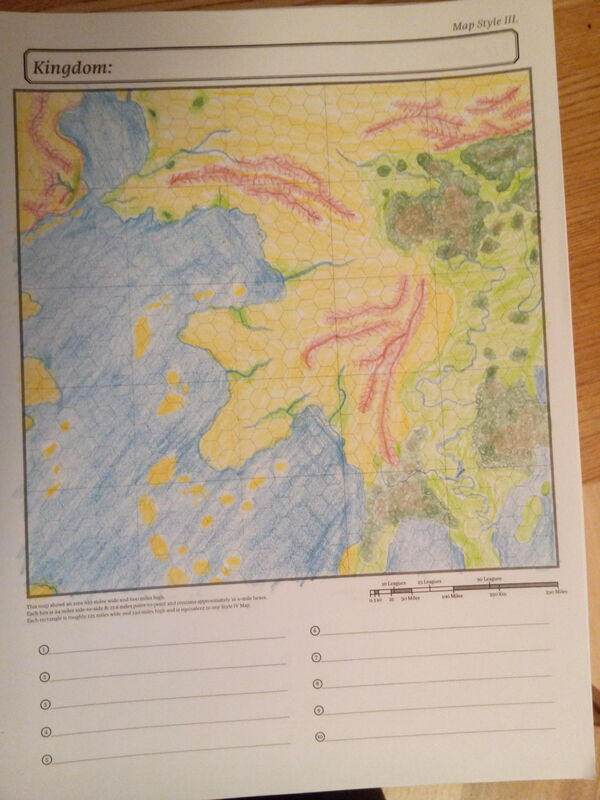 But I don’t understand how to put it into play the way I do with stuff for Basic or from the OSR. Great stories have been written in the Al-Qadim books. But how do we create magic at the table the way it happened when I played The Lost City, Barrowmaze, ASE or when I ran The Lost Mine of Phandelver or some home made dungeons of mine? 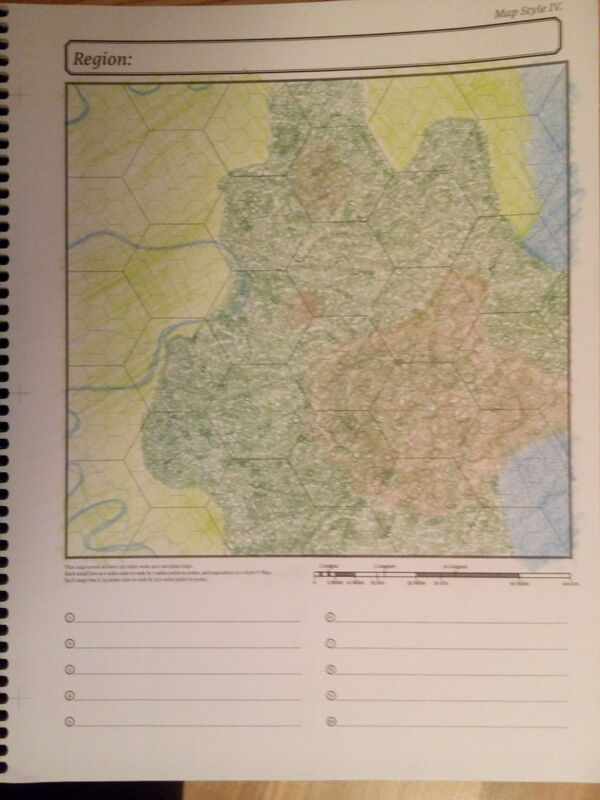 Second question: where to get hex maps? There were “overlays” in the boxes but I only have access to PDF:s so far. 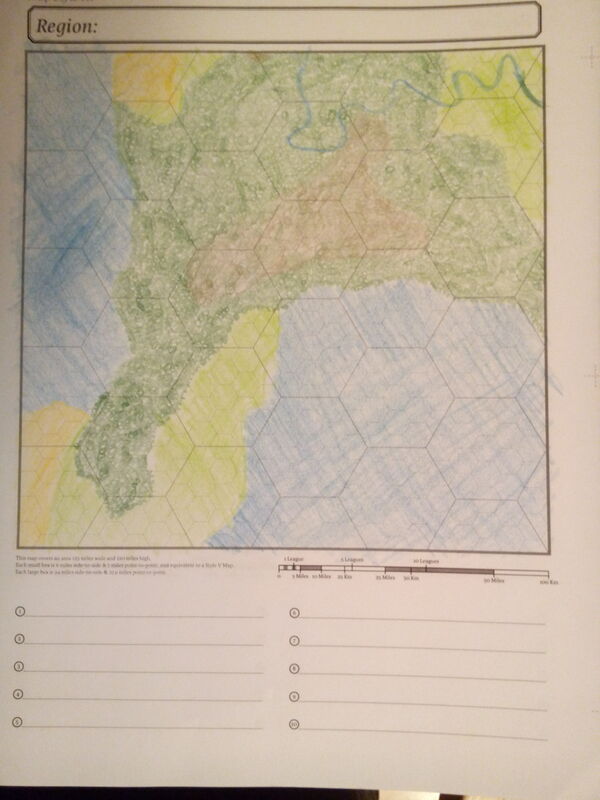 and, this is the wonkiest part, re-created those maps in a “hex book” with colored pencils. I’ve worked on this a lot today, I’m not sure about this approach because it seems like I’m wasting time on this while other (more urgent?) parts of the prep is not being done. You can't get over stupid when you're stuck on dumb. If 30% of the world's population died today, I would only be 30% happier tomorrow. Personally, I think a number of old school adventures can fit well in an Al Qadim, such as The Lost City, ISle of Dread and the like. BTW, another source that could be useful is the Southlands expansion of the Midgard Campaign Setting that is currently (AFAIR) in Kickstarter. It's done by Wolfgang Baur (who was one of the Al Qadim authors -- IIRC he did Assassins' Mountain), and includes a set of adventures. 3. A "court site" setup from Red Tide (I'm working on an internal rivarly in a merchant company). It looks like the PCs will be starting in Mahabba and this is what they can interact with there (for the first session, then I'll do more). 4. A "borderland site" setup from Red Tide, I'm working on creating a newly started caravanserai with the "Bad Neighbours" tag with an older established caravanserai. 5. I'll read up on / prepare B4 The Lost City and some rumors to intice the players to explore there. I'm skipping the "You're stuck here with nowhere else to go" setup of the original, I'll just have the pyramid somewhere within travelling distance from Mahabba. (I suggested Dihliz because I wanted JUNGLE ACTION but they wanted Mahabba, because it's close to deserts, Huzuz, islands, mountains and jungle. Not sure how much I want to play up the "everyone's wearing chador" aspect...) I have B4 in PDF (just got it) and I might print parts of it. Bonus A. I also want to finish at least the local hex map. Bonus B. And some of the tables from Vornheim ported over to Mahabba. I'm also going with the ACKS idea that station = level. That simplifies things even if it's weird. In time, I also want to work out some trade modifiers etc a la ACKS. The system will be D&D 5e. Sorry for name-dropping so many weird and non-2e book titles but I want to mash up the best of everything. Maybe I'm trying to do too much and it'll collapse. This is the first time I'm really prepping for a long term campaign. The idea for the first session is that the players can decide whether they want to go for city shenanigans, travel to a borderlands site (the caravanserai) or go for the dungeon crawl with B4. Then I'll create some more adventure for them later --- and when I have the factions more clearly in place, stories will come out of that and I'll understand more what the players want to do and what their character's goals are. Some ideas I have for the factions include ancient Kadar, Rog'osto, Huzuz and the Grand Caliph, the League of the Pantheon, the House of Tayif, Mamluks of the devoted, Mamluks of the exalted, Holy slayers of the Final Chord, and the Brotherhood of the True Flame. So after several months of first finishing up our Sword Coast campaign and then me calling in sick and then us playing a Greyhawk one-shot with another DM and then me calling in sick then we finally got together for the first session! First they had some city adventures in Mahabba. Part of the people they encountered were generated beforehand through donjon to fit one of the Red Tide tags, part was made by one of the characters as he filled out his bond (we're playing 5e) and part was generated on the fly from Vornheim's tables. I've been nervous about running interesting city adventures but I'm not anymore, that part is going to be awesome. Then they went to B4 The Lost City and got TPK:d against 7 stirges (which I later calculated out counts as a "super-deadly" encounter in 5e, which is really sensitive to large monster groups). They called B.S. and wanted a time-rewind. We did some half-hearted further exploring then called it a day. 4 hours of game + 1 hour lunch break and we're going to meet again. Today's session was a little more like the Arabian Nights. I used some more Vornheim entries and they explored further some of the pregenerated PCs and they went into a small dungeon in the city dwell, but there was a lot of haggling with the merchants and one character tried to steal from a guy who was selling swords at the market place, having swords layed out on a mat. The mat was a rug of smothering! So good luck stealing from that! This is kinda what I want. I wanted the tried and true D&D prep/gameplay to fall back on, as a safety net while I add to that as much AQ goodness as I can find. I'm re-reading the AQ books and the Arabian Nights to find ideas. So far I'm happy with the campaign. I've been good at setting the expectation that we're playing D&D first, Arabian Nights a distant second. I'm kinda regretting choosing such a specific and limited setting rather than the "anything goes" nature of vanilla/gonzo D&D but I'll stick with this campaign for the long run now. I'll find things that fit. They've barely scratched the surface of The Lost City but today they went into The Caverns of Thracia, which I've also placed nearby. One PC died. They've had lots of city adventures also. The campaign is going well, we've had four sessions. We started three weeks ago, so that's a good clip, and will probably play once per week going forward. BTW, in the meantime I got Red Tide and Scarlet Heroes, so I now get more of the sandbox approach you are using -- rather different from my usual style of sandbox (which is way more in the preparation-heavy camp) but interesting if you can make it work. It feels a bit "cheaty" but I'm still so new as DM, I think it's a good enough level for me to aim at right now. 2097 wrote: I don’t think there’s “enough” in Al-Qadim’s books to support a sandbox the way I want to run it. You might want to check out the topic about Rich Green's homebrew Al-Qadim city, called Parsantium. Rich has a blog (linked to, from the first post in that topic) that has a ton of content there. Better than that (one) is that Rich Green has signed up to The Piazza and is very helpful. And even better than that (two) is that Rich Green cleaned out all the Al-Qadim IP from his city and published it has a book. (It's a Pathfinder book, but I got it to use with 3e and didn't have problems. And I think you could use it with 2e too.) And he has also published a couple of other products for Parsantium. And - even more - he has more "Web Enhancements" for Parsantium than I've ever seen from any publisher ever (except maybe Keith Baker who writes a ton of free Eberron material on his website). Anyhoo. If you don't have "enough" stuff, go look at the Parsantium stuff. I think you would be able to use at least some of it. I was a new DM when I started this thread two years ago (having only done LMoP) and now I've ran many campaigns. One in al-Qadim which was pretty much "al-Qadim in name only" and then several others. But, since, I've gotten my hands on the old aQ boxes in pretty good condition, have started reading them through more thoroughly, and for our next campaign (haven't started yet) it'll be much more canon. The Hawa/Qudra region I think is going to be good because then there are two city-states at war with each other. I'm going to keep porting dungeons from other settings into Zakhara if the party feels like going dungeon-delving. Also I'm getting better at "extracting" adventures from the 2e texts. For example, in Corsairs of the Great Sea, there are six adventures. The first is a very scripted caravan guard affair that soured me on the entire booklet. Unusable for me. But as I read on, the second is pretty much an ordinary dungeon delve preceded by a "untangle-the-various-NPC" mystery in town. I'll use it pretty much unchanged actually! (There is a linear part, I replaced it with one of Dyson's maps) If the PC:s don't accept the mission, that's fine, there's plenty of other things to do and I'll now have an NPC organization to use since the PC:s didn't rout them. The fifth is, just like the second adventure, also pretty sandbox-compatible. A "dungeon" (happens to be another fantastic location but you get my point) and a mission to get there. I'll change it so that the location appears (for it is a movable location) not at a particular level, but on a particular die roll that I'll make on the calendar level. If Akura and / or Jayani happens to be still alive by then, well, then the PCs get the offer as in the book (and can then take it or leave it). Otherwise, the PC:s will hear about it and can go there if they wish. I'll change the "uneventful journey takes three days" to use the sailing rules and encounter checks. If the PCs get led astray, well, then they get led astray. The sixth is just an amusing and chaotic little setup that would've been two lines in a Vornheim roll table but here gets a little more room to breathe with more background setup, more possible encounters etc. I like it. Will be made better by mixing it up with some other city soap opera stuff from Red Tide or Vornheim. Again, if the players don't do as the text says that's so much the better. I guess my problem was that I used to see these booklets as railroads that the DM was supposed to force the players along unless they miraculously happened to make the same boring choices that the adventure writer's playtest group did. But, now that I understand how all of al-Qadim, its rulers, its organizations, its monsters, its dangerous terrain etc all fit together to create adventure wherever you go (especially if I add in ever more of that sort of thing via other dungeons, via Red Tide, ACKS etc), I can see these booklets as instead both A. suggestions of things that might happen in this big sandbox, and B. where the 2e authors happened to hide a lot of important description of locations, people and organizations, that I can extract and repurpose. Now, does this mean that I think that the organization of the information is good? No, I've spent about four five time as much on this than I would've if it all had been organized better. Outlines, mindmaps, brief lists, random tables, clean mechanics etc etc. Long prose texts are not usable at the table. Anyway, my OP has gotten some good answers in the thread. To summarize: Jackalmen, al-Badia if the players are al-Hadhar or vice versa, looking at the various encounter lists in the AQ MC appendix etc. No need to reinvent the wheel, those encounter lists are boring but they do the job of making the wilderness dangerous. Thanks for the tip about the city, will check it out for later. Al-Qadim is a very rich setting with great potential for running a campaign, but the DM and players have to buy into the concept. My best friend Jay owned every Al-Qadim product ever made and ran a couple of fantastic campaigns for us. My favorite was the one where we played wandering Corsairs sailing around and exploring the islands on the south of the map, raiding merchant ships and so on. Basically, it was just a series of picaresque, Sinbad-styled adventures where we got ourselves out of one jam and into another, all the while accruing wealth and a reputation for our ship and crew while trying to stay one step ahead of our many enemies.